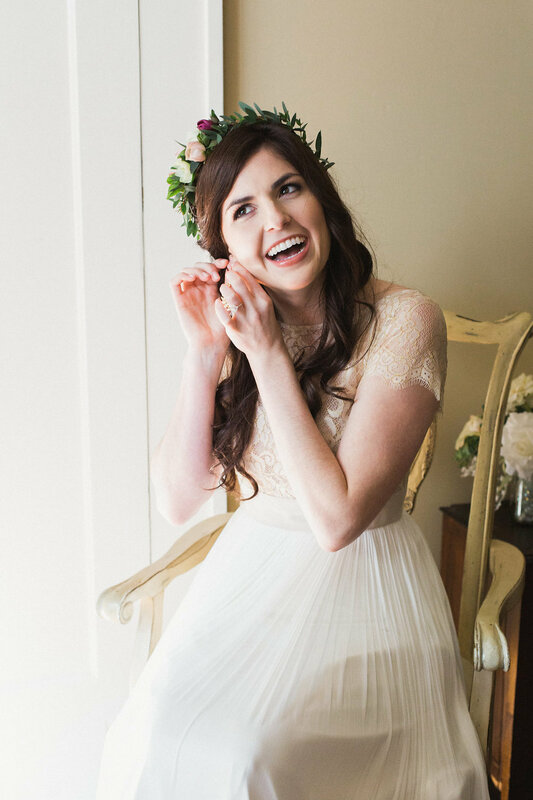 Bristen is a Verde Beauty Bride who got married at Annadele's Plantation in January of this year. 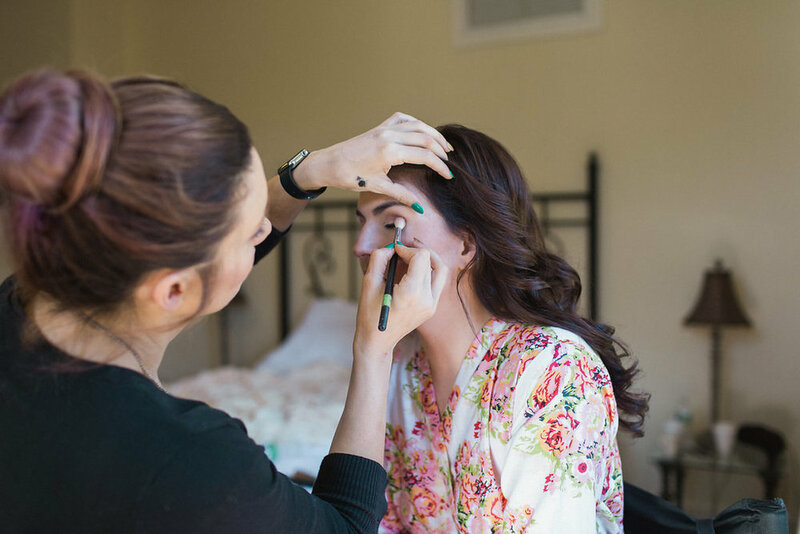 Verde Artist Tina and apprentice Chloe had a blast helping Bristen prepare for her big day. 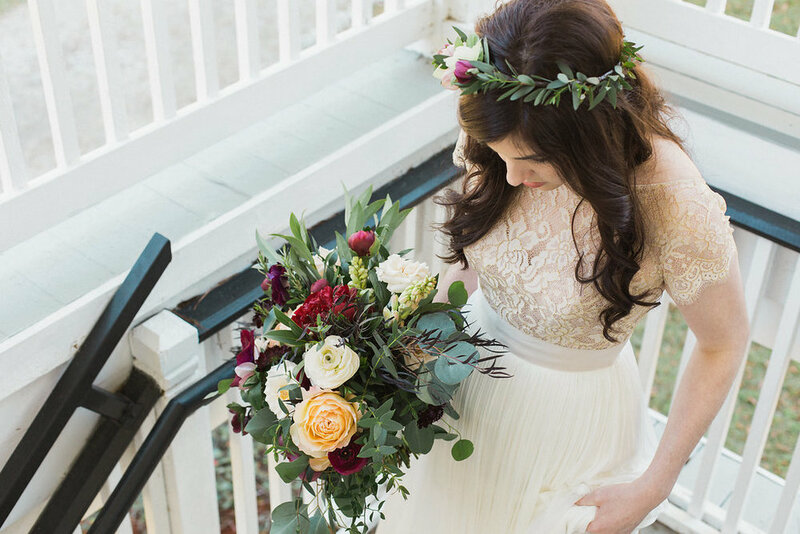 To help capture her gorgeous wedding, Bristen chose one of her best friends, Carolynn Seibert as her photographer. Bristen and her fiancé met at Church...she was a good friend of his cousin, Natalie Miller. She, along with her family and a lot of mutual friends, started encouraging the two of them to go on a date. The rest is history! Bristen : "Well, he got a good friend of mine (who is a great photographer in town) to lie to me, saying that she needed me to be a model for her photoshoot at Houma's House Plantation. They made up a story that she had been selected to be on a list of preferred vendors for Houma's House and that they needed her to do some photoshoots on the property to "showcase her work". Great story, huh? Well, I thoroughly believed it and felt like I needed to help out my friend. However, I was really bummed about doing it on this particular day since it was John Paul's birthday and we had a big birthday party planned for him later that afternoon at his parents' house. It was May 24th, 2015, and the heat of Louisiana summer was upon us. I didn't want to get all sweaty before the party. But John Paul told me, "No, Bristen, you need to be there for your friend. You will make it to the party in plenty of time and it'll all work out." So I resolved to go to the photoshoot for my friend and even planned out an outfit for it, got my nails done, and made sure I looked the part for her. Little did I know, I was falling right into their plans. Once we got to Houma's House for the "photoshoot", we started taking photos and it started raining. We waited a few minutes for the rain to clear and then proceeded to take photos in different locations. Then, my photographer friend told me to walk on ahead next to this huge oak tree on the property. She said that that was the location that the director of Houma's House events wanted us to take some good photos. So I began walking that way. As I did, John Paul came out from behind the oak tree, along with two other friends of ours who are photographers (We have a lot of creative friends). At this point, my gullible self thought that maybe these friends were also taking photos as a part of the same photoshoot for the list of preferred vendors. I was confused, thinking, "Wow, John Paul didn't tell me he was taking photos, too! I guess he ended up coming to join us." I was completely clueless. These thoughts all swirled around in my mind in a matter of milliseconds. Immediately after these three emerged from behind the tree, my best friend (who is also a photographer) came out from behind the tree, and that's when I knew what was happening. She lives in West Monroe and she had always said that, no matter what, she would be at my proposal when it happened one day. A few seconds later, John Paul got down on one knee, showed me the prettiest ring I'd ever seen, and proposed to me. Video cameras rolling and cameras flashing to document every word and scene, we got engaged that day underneath that enormous oak tree, surrounded by the prettiest of scenery. And I was completely stunned. It was the best day of my life up until that point and was the most surprised I had ever been! And afterwards, the "birthday party" we were headed to was actually a surprise engagement party with all our friends and family"
Stop sweating the details and enjoy the time leading up to your wedding! The small details will work themselves out! Bristen and John Paul's wedding was featured as a Signature Wedding for inRegister Magazine! Check out Bristen's vendors + her wedding video trailer!